Amendments to the Firearms Control Act will be introduced in Parliament next year, Police Minister Nathi Nhleko said on Thursday. The amendments would be “technical in nature” and meant to close legal loopholes, he told journalists at Parliament. “We’ll need to take advantage of that to look at all other gaps… that will have to be closed around firearms control… at the level of practical measures,” Nhleko said. Around 5000 applications for firearm licences were received monthly, and around 500 of these were rejected. Nhleko said this was indicative of a larger societal problem. “As the South African society we need to be concerned about the levels of violence within our society and the fact that we need to enter into a dialogue that seeks to assist us… to improve on our human relations from one person to another,” he said. Justice and Correctional Services Minister Michael Masutha said despite consistent decreases in violent crime over the past few years, the use of guns to commit criminal acts was of concern. “We certainly took a keen interest in the bill that we are piloting on gun control, tightening our control measures,” Masutha said. The bill was currently with the police ministry, and would be sent to Cabinet for approval soon. “It is indeed with police for further consultation with stakeholders. Maybe after the December holiday it will go to Parliament,” Deputy Police Minister Maggie Sotyu said. 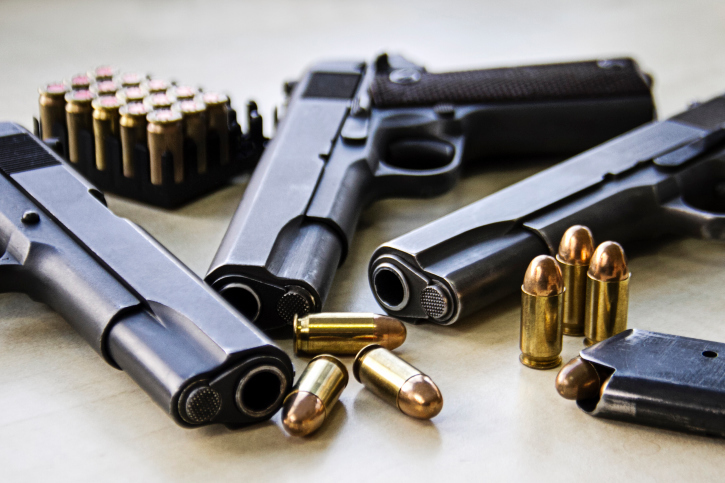 Earlier on Thursday, the ANC called for a review of the country’s gun laws to reduce the number of illegal guns on the streets. “The time has come for us as a nation to review existing gun control measures with a view to limiting access to guns that end in the wrong hands,” African National Congress spokesman Zizi Kodwa said. This followed the murder of Bafana Bafana captain Senzo Meyiwa in Vosloorus, Ekurhuleni, on Sunday night, and the wounding of ANC MP Jackson Mthembu during a robbery in Witbank, Mpumalanga, earlier this month. “What they had to contend with was… marauding gun-toting criminals who have no regard for human life,” Kodwa said. The ANC believed stricter gun control laws were needed to punish negligent firearm owners. “We call on the judiciary to show no mercy for those in possession of illegal guns and those who are guilty of negligence,” said Kodwa.